Let’s be honest – who hasn’t dreamt of quitting their day job to pursue something they really love? 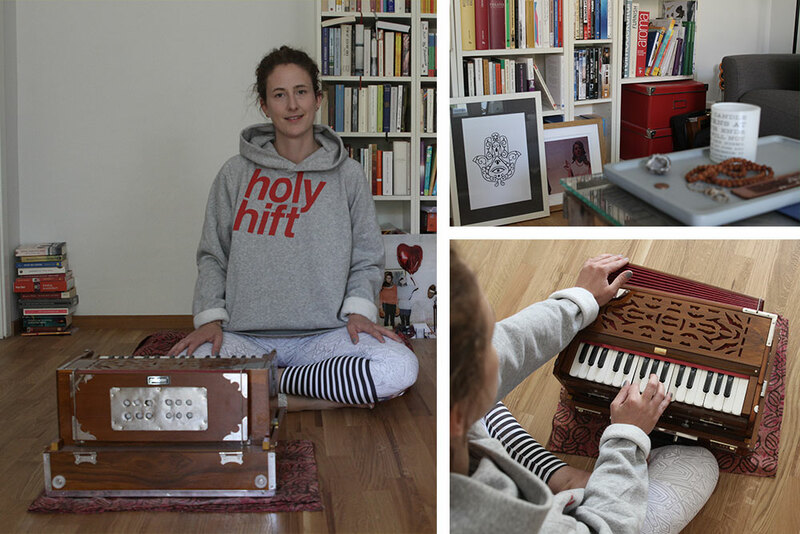 Ulrike Schäfer had a top management position in a successful Berlin start-up before she decided to get off the business train and become a yoga teacher. Ulrike’s apartment in Kreuzberg tells a unique story - or rather, the vast collection of books, pictures and souvenirs do. 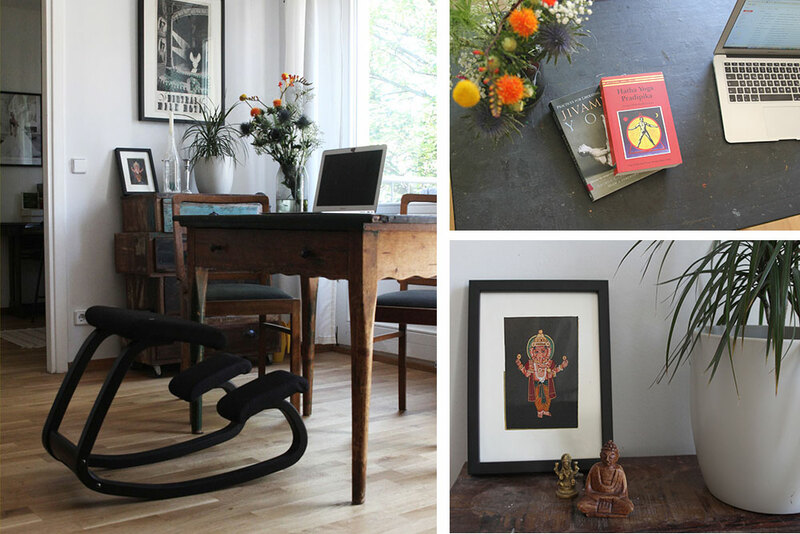 Upon entering her apartment, you can see that Ulrike leads a holistic life, filled with travels, literature, music and yoga. 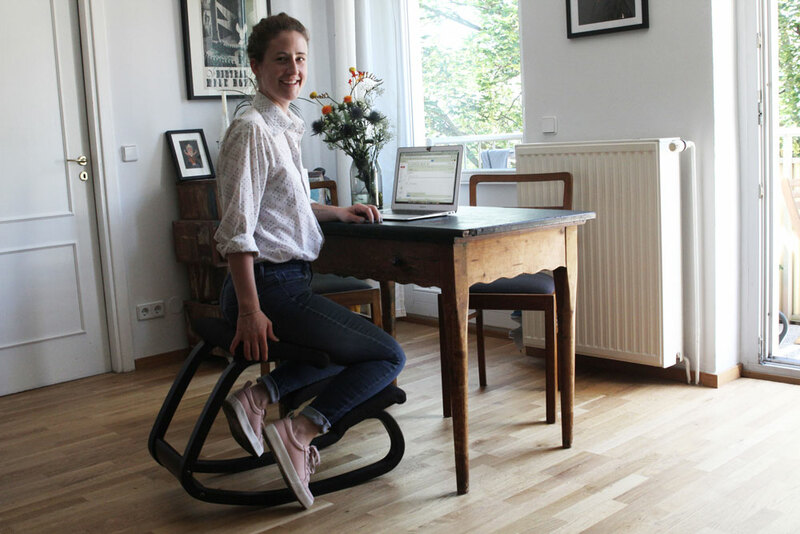 Continue reading to learn more about how Ulrike had the courage to quit her full-time job, and how the Variable has impacted her home office. You practice and teach yoga several times a week. How does this effect your everyday life? Ever since I started teaching yoga, I spend much less time sitting down at work, which is of course great! I practice yoga almost every day, which keeps me moving. When I’m not occupied with yoga, I consciously take breaks to get up and move around. I eat healthier, drink more water and am also trying to multitask less, so I can rather focus on one particular task at a time. Why did you choose to leave your 9-5 job? When I finished my yoga teacher training and began leading classes, I still had a full-time job as a manager at a start-up. As you can imagine, my days were fully packed. I felt stuck at the office when I really just wanted to teach and develop my practice. I reckoned I could work freelance as a copy writer and content strategist and combine this with my love for yoga, so I decided to give it a try. I love that my two jobs are so different, I feel balanced and excited to work. I try to own as little as possible (except books). I like simple, practical furniture, cool colors like petrol and grey, and clear lines. The majority of my furniture are flea market finds, but I like to mix it up with a few handpicked design pieces, such as the Variable and the Kaiser Idell lamp. And how does the Variable fit into this mixture? I like that the chair is so simple. It fits well with the colors in my flat. I also love the somewhat peculiar shape of the chair, it is so different. If you enjoy vintage finds like I do, some pieces can quickly become a bit tacky, but the Variable is the perfect combination and remains clean in its expression. 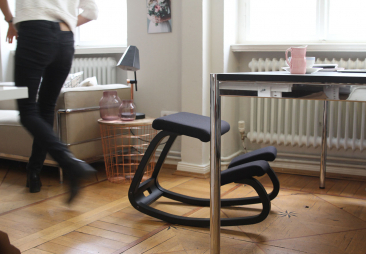 How does the Variable feel, compared to a traditional office chair? 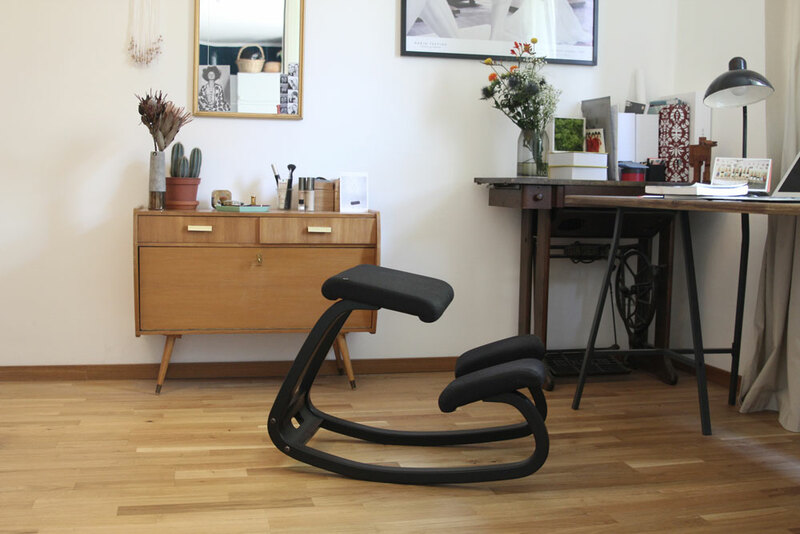 On a traditional chair our legs are locked in a static position, which results in our frontal body being tensed and shortened. As a result, many suffer from back issues. 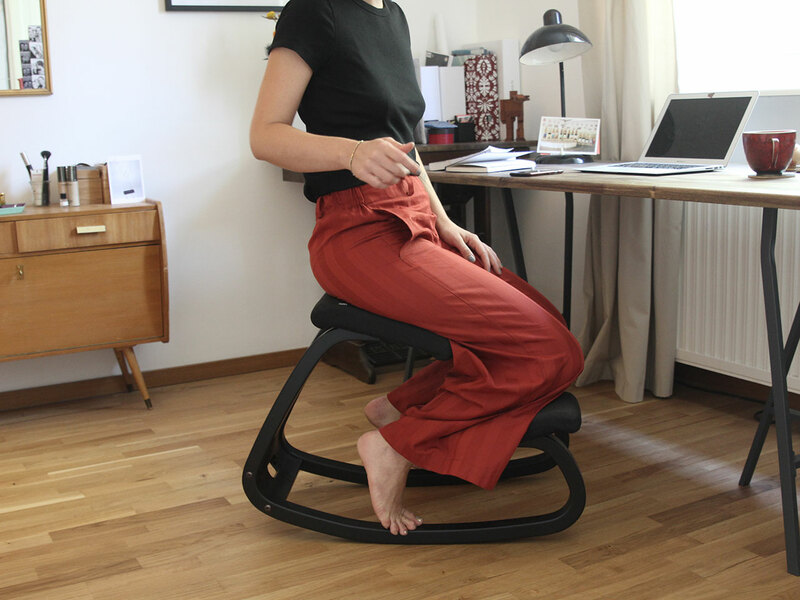 The alternative sitting position that Variable offers is what caught my attention initially. Sitting on the Variable puts my legs in the exact right angle and provides my torso with enough room. The constant encouragement to move is great. Before I could easily spend hours working without shifting position, with the Variable however, movement comes naturally.